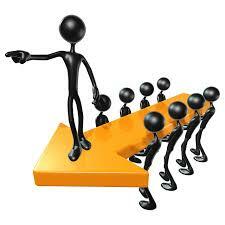 We are looking out for the Corporate Sales Head for a leading event management company @ Andheri. We are looking out for the Corporate Sales Head for a leading event management company @ Andheri. Our Client is the largest corporate exhibition organizer in Asia conducting exhibitions with Economic Times across verticals like Architecture, Construction, Oil and Gas, Real estate etc. Mail you applications with photograph on utkarsha@netsyscon.net.  Managing business development activities entailing mapping of new market segments. 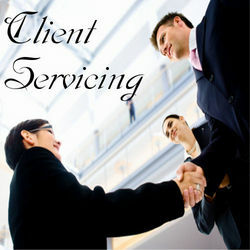 activity, expand service offering, and explore new opportunities within existing clients/new clients.  Responsible for the development and delivery of short and long term strategic business goals.  Manage multiple projects, prioritize work and balance strategic and tactical issues. Tags: "corporate sales head" "head sales"
Art – Visualizer – Leading Digital Media Agency @ Andheri. We are looking for a Art – Visualiser for our client which is a Leading Digital Media Agency providing end-to-end services of brand strategy, creative design, digital production (web and mobile applications), social marketing and media planning. Mail your applications to priyanka@netsyscon.net or call 09969363905. -To help in defining, developing & executing interactive design concepts. -Proficient with graphic software’s like Photoshop, Adobe Illustrator is a must. HR Executive / Assistant HR Manager – Specialised Research and Analytics Firm@ Navi Mumbai. We are looking for a HR Executive / Assistant HR Manager for leading Research and Analytic Firm. Serving Fortune 500 Clients located in Mahape Navi Mumbai. Mail your applications on priyanka@netsyscon.net or call on 9969363905. Minimum Qualifications: Degree or equivalent, MBA preferred. VP- Client Servicing- India’s Leading Digital Media Agency @ Bangalore. Candidate must demonstrate passion for the digital medium and confidence to work with data analytic. Copy Editor – India’s leading Digital Marketing Agency @ Andheri. Gauging good content based on writing style, content value and structure, in order to ensure that it’s appropriate for TG. Proofreading articles, social copy and newsletters for grammar, punctuation and spelling accuracy / consistency. Validating facts and raising queries with the writers. Crafting content and copy when the need arises. Min Ex. 1 – 2 years. Good concentration to proofread and edit lengthy pieces. We are looking for Merchandising Manager-Apparel for a leading International Retail Brand for their Head Office in Bangalore. Mail your applications to jinisha@netsyscon.net or call 09833341077. The Merchandising Manager reports to the Country Merchandising Manager – Apparel and works closely with sales, retail, planning and operations teams. Also works very closely with World Cat team. The position has reporting from Merchandisers and Assistant Merchandisers and works with them very closely giving them not just general direction but also specific inputs on day to day working. Basic Function: To build the most profitable, balanced, customer focused Apparel range which reflects the brand strategy and to manage retail merchandising to deliver maximum sales, margin and profit to retail business. Budgeting and planning for the category keeping in mind the targeted category contribution, sales and margin. Pricing, keeping in mind competition price benchmarking and company strategy. Supervising Retail Allocations keeping in mind right product right door. Involves understanding of Grading/Banding/Clustering of Retail doors. Optimizing SKU (Stock Keeping Unit) efficiency, ASP(Average Selling Price) and ROS in retail. Ensuring timely launch and inward planning for the store. Supervising periodic replenishments for controlled locations. Controlling inventory levels through regular sales/sell thru analysis and discounting of old stocks based on targeted margins. Coordination with International teams and sending reports to Global Retail and Wholesale as per the standard process. Support the wholesale merchandising team for range presentation during sell in. Analytical and numerical skills, Good oral and written communication, Presentation skills, Negotiation skills, Multitasking, People Management, Time Management. Front Office Desk/Receptionist – with an International Sportswear Retail Brand. We are looking for Receptionist with a leading international Retail Brand for their office in Bangalore. Mail your applications to jinisha@netsyscon.net or call 09833341077. Attending Incoming & Outgoing calls. Administrative purchases viz. stationery items, eatables, flowers or bouquets etc. whenever required. Maintaining of Stock Registers (First aid, Stationery, etc. Maintaining the files, records and documents as required. To perform courier and dispatch services. Any Graduate or Undergraduate with excellent verbal and written communication skills. Should have experience of at least 1-2 yrs.